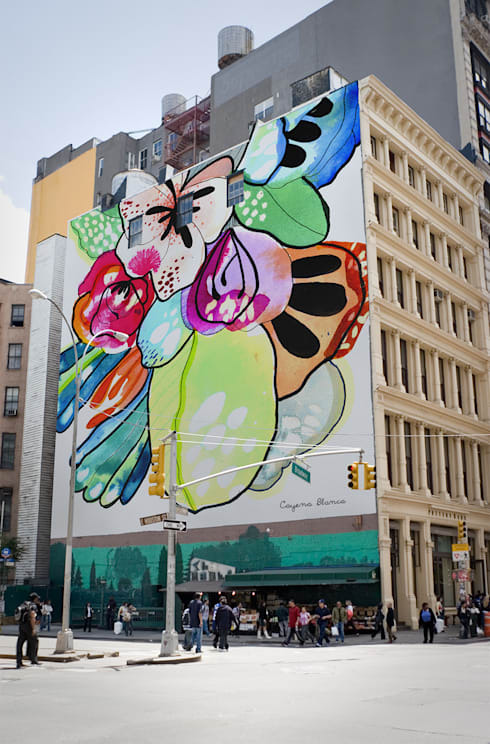 Murals, street art and graffiti can add much-needed vibrancy and colour to the walls of the urban jungle. A mural can totally revive an obsolete concrete building that seems to have nothing at all going for it. 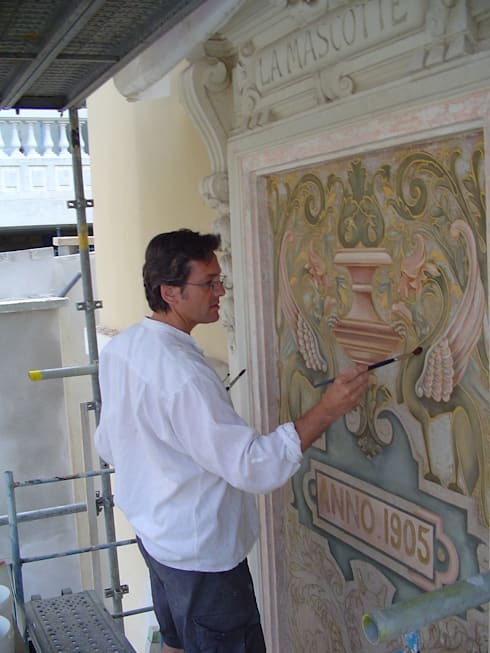 Just a lick of artfully-applied paint may be enough for a complete makeover. Wall art can also act as an accent to a structure that’s already impressive in its own right, bringing out its best attributes via a suitably complementary or contrasting aesthetic. 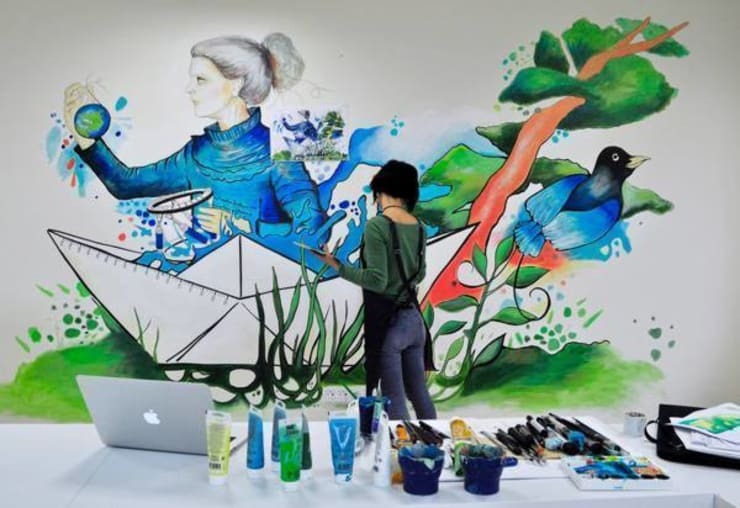 The desire to make out mark through street art has always been with us – from prehistoric cave paintings to the frescoes of ancient Rome to the graffiti-covered edifices of post-1989 Berlin, many creative people have always seen canvases where others see walls. 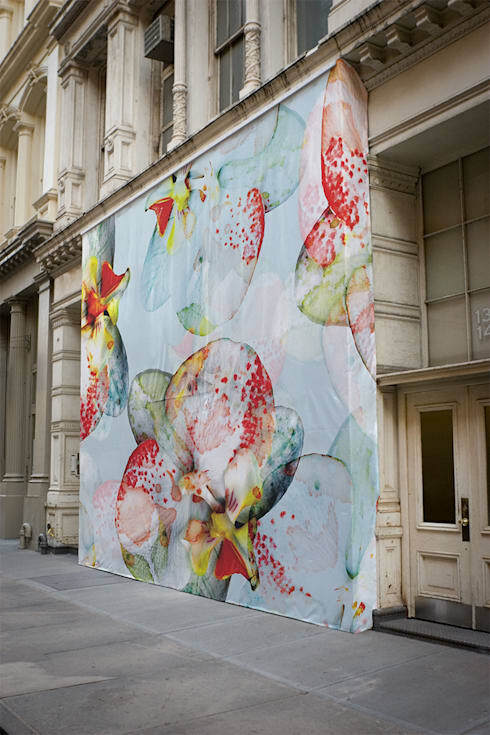 Wall art is not just for public spaces, though; it’s easily incorporated into your home, both inside and out. In search of ideas? Below is a range of impressive examples of just some of the different forms and styles in which street art can be found. These super sized flowers have taken control of this building, truly making it their own. The light, fresh colours used and the diluted quality of the paint are fairly atypical of graffiti; but then, on closer inspection it becomes apparent that this piece is not painted directly on to the wall at all, but appears on a thing piece of fabric stretched taut across the front of the building. So this takeover is a temporary one, it seems. Is this cheating? It really doesn’t matter; the result is breathtaking anyway. Here we can see what happens when the same artist gives even more: more colour, more vitality and of course more scale. This stunningly vibrant bouquet dominates the street it’s on, and rightly so, counterbalancing the greyness of the sky seen behind with its own vigorously cheerful palette. Look a little harder, though, and you’ll see that the gable end of this building actually offers a street art double whammy. Directly beneath the flowers is another, more modestly sized, piece that brings even more nature to this area with a green countryside scene. If you don’t know which way to go, go classical. It’s the ultimate in timelessness, after all; a decorative style that first went out of fashion so long ago it’s now perpetually in fashion. This gorgeous mural is so authentic it looks like it was lifted straight from the ruins of Pompeii. An image in this style would be a good fit for a relaxed outdoor space with plenty of seating and hanging greenery, playing up to the Mediterranean vibe. Beware though: if you go with a look such as this, it’s absolutely crucial to get an expert to paint it for you (unless you happen to be one yourself, of course). Though of course that’s true of all murals, there’s no denying there is is something particularly distressing about a poorly-executed classical fresco. 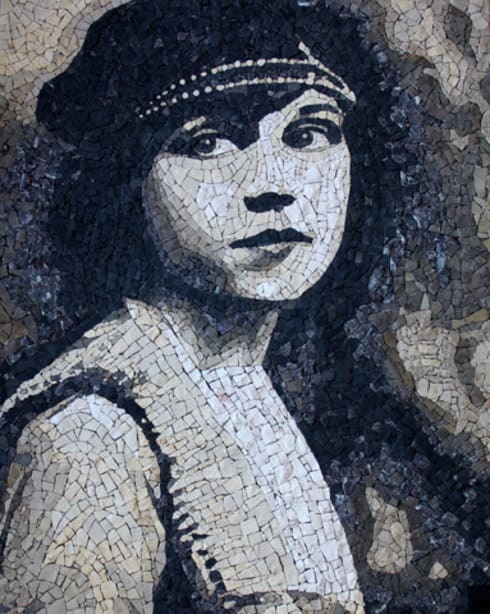 Mosaic is a surprisingly effective form for this mournful picture of a young woman. The choice of medium is especially powerful because monochrome mosaics are rare, making this image stand out all the more. Light, bright and full of spirit, this playful mural is perfect for areas in need of a little life. 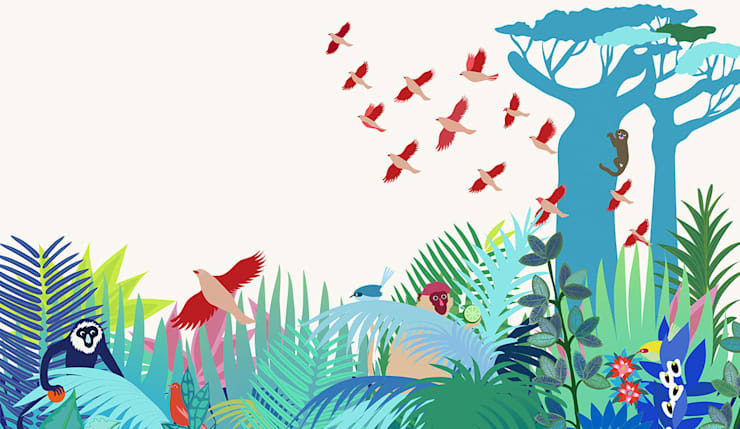 Jungle themes are always a good bet for a kid’s room, but this one is grown-up enough in its style that it could also work on a spare bit of wall in the garden. This surreal scene, with its oversized paper boat and sleepy-looking bird, certainly provides a lot to look at, and it’s clear that creating it must have been a lot of fun.